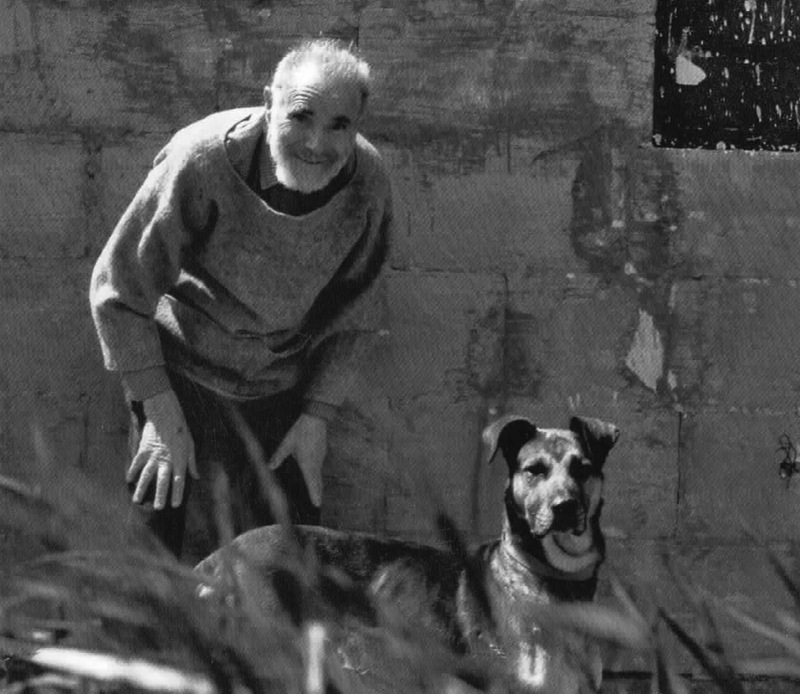 Victor Pasmore with his dog Zulu at the farmhouse in Malta, 1985. Photo by John Pasmore. Published in Alastair Grieve, Victor Pasmore. Writings and Interviews, Tate, 2010.